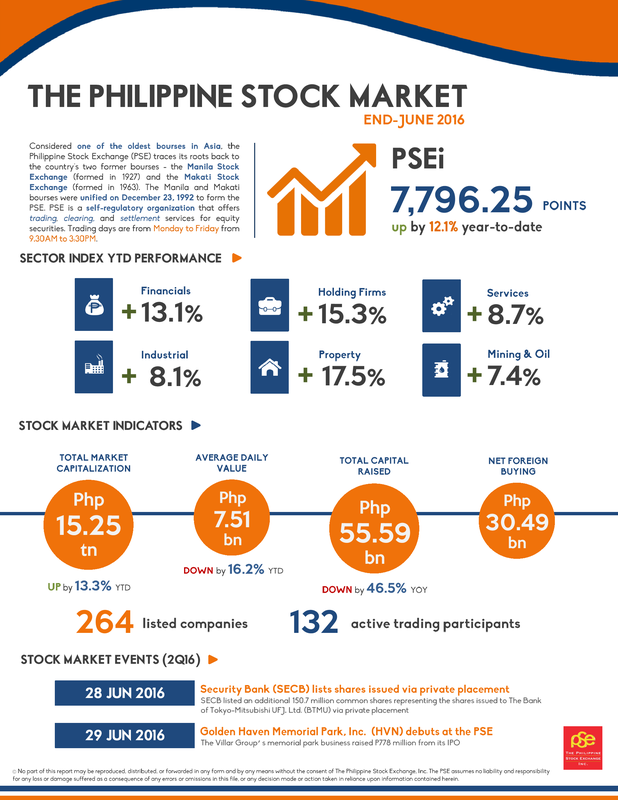 The Stock Market Investor Profile Report for 2017 of The Philippine Stock Exchange, Inc. (PSE) showed a 28.5 percent growth in online stock market accounts to 388,864 from 302,516 in 2016. Increased trading activity was also seen in online accounts as they made up for 11.0 percent of total trading value in 2017, from 9.3 percent the year before. Likewise, value turnover from online accounts rose by 12.9 percent to Php372.06 billion from Php329.64 billion in 2016. "Clearly, more and more investors now prefer to trade and invest in the stock market through online trading systems. 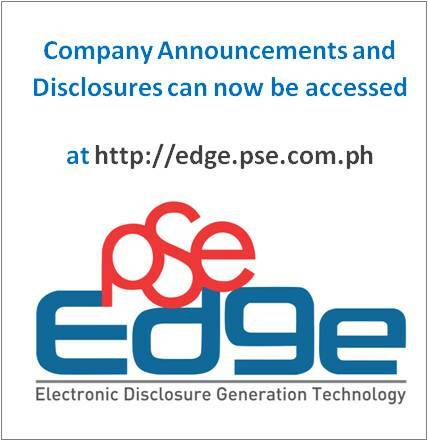 We hope to further grow the number of stockbrokerage firms that offer online trading services so that the stock market becomes even more accessible to everyone," said PSE President and CEO Ramon S. Monzon. In terms of total stock market accounts, the count for 2017 increased by 12.4 percent to 868,810 from the 773,187 in 2016. The total number of stock market accounts saw a 12.7 percent increase in retail accounts to 841,532 and a 2.6 percent rise in institutional investors to 27,278. Percentage-wise, retail and institutional accounts covered 96.9 percent and 3.1 percent of total accounts, respectively. Meantime, local investors comprised 98.3 percent of the total accounts while the remaining 1.7 percent consisted of foreign investors. The report also provided insights on the demographics of the Philippine stock market's retail investors. The stock market still has more male investors, as they made up 54.6 percent of total retail investors. Female investors accounted for 45.4 percent of the retail investor population, which is a tad higher than 2016’s 44.9 percent. As with the previous year, majority of retail investors were aged 30 to 44. This age group comprised 42.2 percent of retail investors, followed by those aged 45 to 59 at 26.1 percent, 18 to 29 at 16.2 percent, and the 60 and above age range at 15.5 percent. The profile report also showed that Metro Manila still has the most number of retail investors but its percentage share went down to 64.2 percent from 70.6 percent. This as all three of the country’s major islands showed double-digit growth in terms of their share in the retail investor count. Luzon recorded an increase to 20.8 percent from 16.4 percent, while Visayas registered a growth to 8.2 percent from 6.2 percent and finally, Mindanao posted a 4.5 percent rise from 2.9 percent. The share of overseas retail investors, meanwhile, declined to 2.3 percent from 3.9 percent. "I attribute the growth in retail investors outside Metro Manila to the streamlined account opening processes of online stockbrokerage firms. I also think that the broker expo feature of our very successful roadshows in Davao and Iloilo last year helped bump up the numbers because roadshow attendees were able to open stock market accounts with stockbrokerage firms at the event venue," Mr. Monzon explained. Retail investors with an annual income of P500,000 or less represented 42.3 percent of investors in 2017. Meantime, investors who earn P500,000 to P1 million and those who had an annual income of more than P1 million accounted for 34.0 percent and 23.7 percent of total retail investors, respectively. The report showed that the demographics of online retail investors remain consistent with previous years. In terms of age, the 30 to 44 age group still had the biggest chunk at 53.7 percent, followed by the 18 to 29 year old investors with a 22.5 percent share in total online accounts. Those who are aged 45 to 59 and 60 and above had a respective share of 17.9 percent and 5.9 percent in total online accounts. More than half of online investors were earning less than P500,000, while those who had an annual income between P500,000 and P1 million comprised 26.5 percent of online investors. Finally, 15.8 percent of online investors belonged to the group earning above P1 million per year. The online investor distribution per location also remained the same as in previous years. Metro Manila investors had the biggest share as they accounted for 52.4 percent of the total online accounts, with Luzon, Visayas and Mindanao online investors having a share of 29.0 percent, 8.5 percent and 5.7 percent, respectively. The share of overseas-based online investors was at 4.4 percent. "Admittedly, we have more ground to cover. We hope that through our continued market education initiatives as well as the marketing efforts of our accredited stockbrokers, we will be able to encourage more individuals, based here or abroad, to invest in our stock market," Mr. Monzon added.